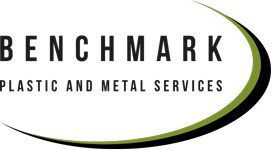 As a company we at Benchmark are dedicated to reducing our carbon footprint and caring for the environment. Wherever possible we use recycled material in our production process and recycle all of our waste plastic. We also ensure that the general waste we produce is carried by a company dedicated to diversion from landfill. Benchmark Plastics operate a rolling improvement programme investing heavily in our team as well as new equipment. We are focused on improvement of our work practices and enjoy strong relationships with our clients and work partners. Our aim is to maintain high standards in delivery of design, performance and reliability while always appreciating the importance of cost effectiveness to the customer. Benchmark are one of the largest plastic vacuum forming companies in the North West of England. If you would like the most competitive price, while reducing your carbon footprint, dealing with a UK supplier that manufactures plastic products for the UK market, call us because we care about our environment.